Though investment situation in the country has not improved, the sale of savings certificates goes on. In the first six months of the 2018-19 fiscal year, the government has taken loan of over Tk 250 billion from the savings certificates sector. Last December alone, the government took a loan of Tk 33.31 billion by selling savings bonds. 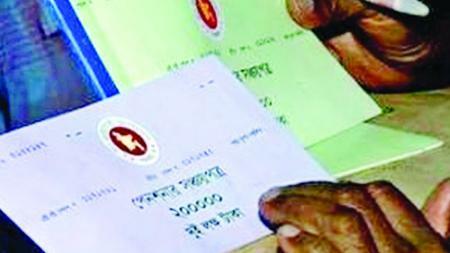 Bangladesh Bank says, till last December, the total loan from savings certificates stands at Tk 2000 billion. The money taken from savings bonds is kept in government’s treasury, used as per need of the government for implementing various state events. Since the deposit interest of banks has been low for a long time, people are more interested in buying savings certificates. Bangladesh Bank says: “Sales of savings bonds exceed the target of the government, which is creating pressure on loan management. Every year, the government is giving a huge amount of money as interest, which the National Board of Revenue, NBR, is realising from the masses. On the other hand, there is liquidity crisis in commercial banks too. People veer towards savings bonds for two reasons: one, because the source of money is not asked and, secondly, the rate of interest is much higher. In 2017-18 fiscal year, the sale of savings certificates was over Tk 780 billion which was around Tk 751 billion the previous year. To stem the sale, the interest rate of savings bonds was lowered by 2 per cent on 10 May, 2015. At present, there are four types of savings certificates: five year family saving certificate, five year pension certificate, five-year profit based certificate and three year profit based ones.